Q.: Vladimir Nikolayevich, will you tell our readers a little bit about the children. What are they doing and what are their plans for the future? Vladimir Megre: I think they are developing splendidly. What tasks and challenges they will face, I cannot answer with certainty. Life itself must show that. I myself don't even know about my own future. Of course I want only the best for them. Q.: What do the children do in their daily lives? Vladimir Megre: It is not easy to describe their life with a few words. Let me say it in this way: They learn to think. The major task for human beings consists of learning how to think. We have forgotten how to think, which is a problem with all of humankind. We use the majority of our life energy to provide for food and shelter. However, one really does not need to think about this much. We forget that the earth has provided for all our needs since primeval times. What is more important is to recognize the true nature of the earth and which forces are at work on our home planet. Instead of spending so much effort to ensure our survival, we should dream more and be creative. We should create similar worlds such as ours on other planets. I believe mankind will concern itself with these questions as soon as it recognizes its own purpose. Q.: Many of us still want to know how little Vladimir experienced the birth of his baby sister? Vladimir Megre: He dreamed about it for a long time, and looked forward to her arrival very much. By now, naturally, it also happens occasionally that he is irritable with her, but that is completely normal because of their age difference. Their thoughtful, curious eyes are expressions of their desire to understand the world and its people. They have a very attentive relationship vis-a-vis adults. Q.: Does Volodya tell you about his newest discoveries? Vladimir Megre: He is constantly busy expanding his discoveries about the world surrounding him and of the entire cosmos. "Discoveries" is actually not the right expression, rather, he is sharpening his understanding of the world and its true laws. When he was younger he would imagine that he was located in the control center of a spaceship - a spaceship, which did not consist of metal or other artificial materials, but of living matter, and in which everything was created for humans and at their disposal. Childhood is given to us so we can recognize and learn all this. And that's exactly what he is doing. This process is alien to many of our children because of the influence of the technocratic world. Modern people spend their entire life with the study of the technocratic world. Telephones, computers and cars, however, are nothing more than prostheses. All our lives, we learn to use these prostheses and use the power of our thoughts to create better and better prostheses. That is very unfortunate. Q.: How do Anastasia and the children spend the winter? Vladimir Megre: In the winter the children sleep much more, and because they were born and live in that environment, they are well adapted to the icy winters. There are even people which were not born in such a rough climate but who are nevertheless not bothered by these low temperatures. I know a few people in Saint Petersburg who wear nothing but a short-sleeved shirt over their skin in the winter. Anastasia runs around barefoot without problems, and sometimes she wears a type of footwear like the Bedouins. In the film "Family Domains" the family Molchanowych is shown, and one sees how their small child runs barefoot through the snow. They even say that clothes are unpleasant to him and that he can bathe in ice water. This is, to be sure, about a child which is just learning to toughen up. The same is naturally all the more true for Anastasia and her children. They do not need to wrap themselves up, because they are living in their natural environment. I assume, that it has also to do with their genes. Here in Egypt I observe the cats with great interest. They have a very similar coat to the Siberian cats, only here they can tolerate plus 40 degrees (Ed. : Celsius, 104 F), as opposed to minus 40 degrees in Siberia - a difference of 80 degrees (in Celsius). What absolutely perfect adaptation! Human beings have been equipped with such powers since primordial times, but in our technological environment we lose those abilities, since they remain unused. Since humans have become too complacent to adapt, they create prostheses for themselves: air conditioning systems, heating elements and new types of clothing materials. The hunters in the Taiga carry only a padded jacket and a turtleneck sweater; they do not need a fur, since they constantly move. Also, their inner feeling-world is much more intense than ours. Someone who comes out of a Russian bath into the cold snow, actually enjoys the icy cold for quite awhile. While we are talking here about an artificial increase of temperature, the same can be effected in natural ways. Humans have their own protective mechanisms which can increase body temperature. This is expressed, for example, in the form of a fever. For now, however, lets agree with the statement that by this mechanism the temperature is held at 36.6 degrees (Ed. : Celsius; 97.9 F). Anastasia moves around even more in ice-cold weather, not physically, but rather internally, in order to utilize her body's own thermal capacity. Q.: And what do they do during the long winter evenings? Vladimir Megre: In order to understand how they occupy themselves, one need only to observe humans around their own farm. There is always something to do: they observe nature and the animals. I find such a life very pleasing. Q.: There are many letters, in which readers ask Anastasia to heal relatives or children. Can you speak to those requests? Vladimir Megre: I have responded to these requests repeatedly and have also written about these issues. Anastasia does not treat acute diseases. She could heal me as well, but does not do that either. Illness is a conversation between man and God. It is a false concept that a doctor or some medication can heal an illness. In reality humans can heal every one of their diseases themselves, exactly the same way they did cause them themselves. But for this it is necessary to understand the underlying causes of an illness. We must learn to develop our own consciousness. Even serious diseases such as cancer are there for us to learn from. At least that is Anastasia's opinion, and I cannot argue with that. I have asked her off and on to treat certain conditions, but she refuses, since she regards such healing as an interference. Perhaps it is God whom a sick person really needs. And maybe we become ill because we do not live in divine nature, but in a stony prison. Q.: Do you still experience communication difficulties between you and your children, or have you found a better way to connect with them? Vladimir Megre: Indeed, I still have not found a more satisfying way to communicate with them and have also found no educational method to bring to them. But I am very pleased with their behavior - so much so that I hope to learn from their example too. Momentarily, I make no contribution to their education. Perhaps it is also simply true that I am committed to use my time to write books. Q.: Vladimir Nikolayevich, can you comment on the Eco-Village movement: What is your opinion about the main problem with its development? Why doesn't everything proceed more quickly, the way one might want to see it happen? Vladimir Megre: First of all I do not have the impression that this movement is developing slowly. Secondly modern humans are obviously not ready, without preparation upon the land, so as to assure an ideal settlement. In Russia there are already some people, those, who have developed a plan, and designed a settlement on the land. I do not know how many there are, but expect many more in the future. It is important for their successors to be able to learn from their errors. If you did everything at once, the possibility for errors would surely be much larger. Everyone knows for example that the ground must be first enriched and that one should not cultivate anything in the first two, three years except certain plants, which fertilize the ground. Others do not consider where groundwater is to be found, or they make errors with the construction of houses. Presently, such errors are still pervasive. I trust that we are altogether on the correct path, and one can see a tendency toward an intensification of the eco-village movement. And that is the main thing. Q.: We often receive questions about karmic relationships. How do certain relationships come about, and how do they persist between parents and children or more generally, between relatives? 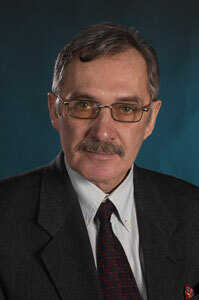 Vladimir Megre: If we accept the basis of the theory which Anastasia teaches - in which cases an actual reincarnation takes place, in which cases humans are restored as an integral spiritual unit and in which cases their energy becomes scattered on low dimensional levels, then one can say that our encounters are again and again new and represent important teachings and examinations for us. On the other hand these encounters are very multilayered and confounded, so that it is nearly impossible to make factual statements regarding individual cases. The question is also frequently posed regarding the relationship of Anastasia's grandfather to the caste of the priests. If the question is answered in the affirmative, then this would mean that Anastasia's ancestors were involved since primordial times in misleading humans away from the truth. I could of course also have kept this information undisclosed, but I did not see any purpose in hiding the truth from people. Modern humans really do not understand which purposes the sacrificial priests pursued and whether they were ultimately negative or not. We also do not exactly know to what extent religions affected the evolution of mankind, although there is no doubt about the great role they played in the history of mankind. We do know, first of all, that religions were devised by the priests. Secondly we know that the priests did not agree in all points. To a large extent they drew their own conclusions, each one for himself, even though they also agreed in many points and pursued common goals. For example, with regard to the lineage of Moses, its role is likewise ambiguous. On the one hand Anastasia was raised by him, on the other hand she does not agree with him on everything, and she herself does a completely different thing. Her actions prove quite clearly, however, that she is perfectly correct. One could look at the priests as great scientists and philosophers. Our problem is that mankind is being "led" in the first place. Individuals hardly think for themselves any more; others think for us. That which affects us most at present are television and politics. The early priests were at the same time also very powerful politicians. But even if Anastasia came from ancestors who were some of those priests, I can see nothing bad in that. The Germans for example had their Hitler. Should we therefore compare their entire nation to him? That would certainly be a great mistake. Q.: Anastasia's grandfather said to you that you should create a political party. Why have you not pursued anything in that regard? Vladimir Megre: First of all I do not hold myself out to be able to lead people in that kind of way. Secondly I could not write my books at the same time and also develop a film script for the world. And thirdly: If I would organize a party, then people would simply watch and listen, without really becoming active with anything . It's much better if there is a group of people which does not even need to be registered, which does go out, however, from the heart of humans. If it should be nevertheless registered, then I will join it as a simple member. My resolution has been certain for a long time, namely that I never want to be a political party leader. Q.: At a certain time, our calendars were changed. Does that have any meaning? Vladimir Megre: I think such an interference has great importance, particularly if dates are changed. According to our calendar one might assume that mankind has only existed for a few thousand years, but in reality we have existed for much longer. By way of this arbitrary calendar change one becomes isolated from the times which existed before, and in that way, we are also separated from the knowledge of that time. Whoever separates from his parents, for him they no longer exist in reality. It was probably not coincidental that this change was introduced, and it has been detrimental. Q.: But back then there also existed a Vedic calendar. Can't one re-establish that? Vladimir Megre: I did not inquire about that yet, but I think it should be possible. The Chinese calendar for example is six thousand years old. Therefore they have lived for six thousand years, whereas we supposedly have only lived for a few thousand years. But one can safely assume that mankind has been around for millions or even billions of years, which is practically half of an eternity. Therefore the Chinese calendar, so much older, is much more authentic than ours. Also the traditional healing sciences are so much further developed than they are here with us - it might be one of the best in the world. Q.: Vladimir Nikolayevich, people often ask why you decided to publish the current volumes in three parts? Vladimir Megre: Because the topic required it. I found it necessary to write about the subject matter in more detail, namely the concept of a new human civilization - and about human civilization in general. In that way, I could organize it better. Because it is such an important subject matter, I decided to expand this topic in several different ways. Sometimes it even seems as if I deviate from the topic. For example, many readers might ask themselves: Why all these rituals? Rituals are, however, very important. In the past, humans learned to evolve by way of rituals; to improve their well-being, or to pass on information from one generation to the next. But these rituals were suddenly abolished. Otherwise we might already be very close to the ultimate human perfection. But what do we have now in their place? Nothing at all other than platitudes and naive tales, such as, for example, the journey to the "eternal fire". What information can one get from that? And if one considers the rituals more carefully, then one finds out that in each action, in each motion, powerful information is contained which has a positive effect on the psyche of the whole person - and of a whole people. Therefore I had to deal with the issue of rituals at length, in order to make a selection possible of the best rituals of different epochs, with whose assistance the new civilization can be created. Q.: Our last request, dear Vladimir Nikolayevich: Do you have any other special message to our Space of Love Magazine and THE EARTH newspaper readers, especially regarding the online Petition to the United Nations? Vladimir Megre: My Canadian friends have informed me that a petition has been published and signatures are being collected at the site http://www.petitiononline.com/SoLMag/petition.html, and have sent me a number of comments. I am delighted with the rapidity of the actions and the depth of understanding of the situation by our readers; people in Russia are also collecting signatures for a similar declaration, a good, positive situation is resulting that just takes one's breath away, families world-wide understand where the way out of the crisis lies. The real economic crisis is not the cause of the incipient world-wide general depression, it is the consequence. The cause lies in the life-style philosophy, and if not only the recognized financial experts, economists, and members of government, but also the most important force - the people - would take the matter in hand in one fell swoop, then a bright future would be assured. I am preparing a letter to President Barack Obama of the United States with a proposal to examine the idea of Kin's Domains, the life-style philosophy set out by Anastasia, the heroine of my books, to accept it as a basic way out of the crisis, but I now think that my letter will not be important, what will be important will be the actions of each of you. Thank you, each and every one of you, for understanding the idea! Economists are forecasting a way out of the world-wide crisis in two to three years, some speak of five years, while others claim that, in general, there is no way out of this crisis, since it will be followed by a more enormous and global crisis related to the lack of quality food products, global climate change, and a number of other natural cataclysms. I maintain that, if the philosophy of the Kin's Domain is accepted by a majority of people and supported on the level of governments, there will be no crises threatening the planet, because instead of negative information raining down upon the people of all countries from various mass media, there will be a flood of positive information. A way out of the world-wide crisis may occur not in three to five years, but much more quickly. This will happen when the philosophy of life in a Kin's Estate is widely and sincerely promoted and understood and supported by you. I think it is precisely this philosophy that must be brought to the forefront. To whom? I do not want to be a radical, but I think that governments that do not understand the essence of the problem will simply sink into oblivion, they will be replaced by people with a new mentality. To this day I am pondering the question: does the person choose the idea, or does the idea choose the person? What do you think? I thank you yet again for your understanding, and hope for your active participation in the realization of a wonderful future. I would like to express special gratitude to Regina Jensen, the editor of Space of Love Magazine (www.spaceoflovemagazine.com) and the team at the newspaper The Earth (www.ringincedarsofrussia.org/theearth). Copyright © 2016 PineNutOil.us, All Rights Reserved.